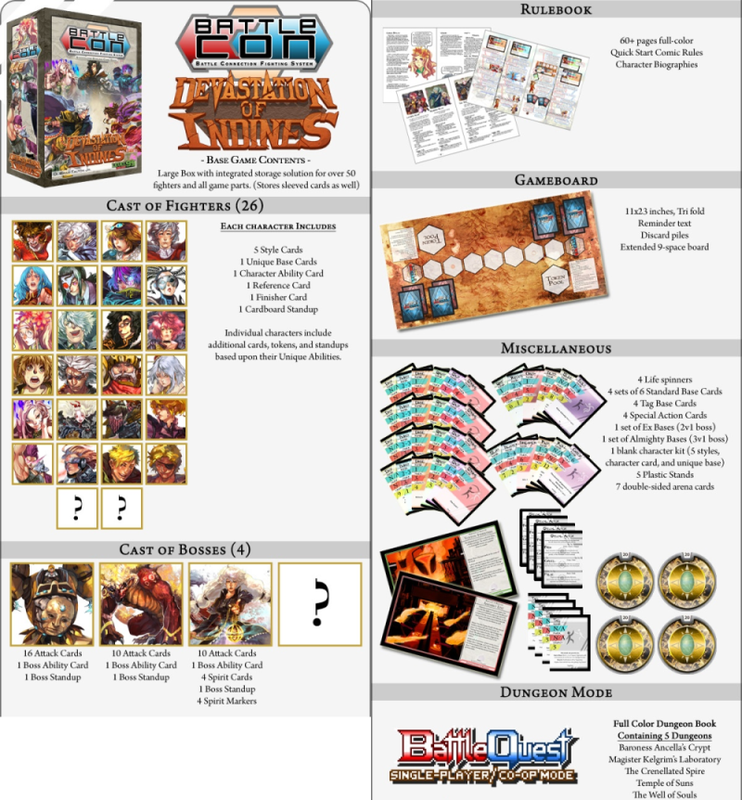 BattleCON: Devastation of Indines is a standalone dueling card game designed for head-to-head and team play. Each player selects a character who uses a unique gameplay mechanism to give them an edge in combat. Take control of guitar-playing summoner, a pair of tag-teaming werewolves, a prodigal paladin, a genius artificer, and more! Each character's play style requires new strategies, but uses the same foundational tactics, making a new character easy to learn, but challenging to master. Players move along a seven-space-long board, trading blows and attempting to strike the opponent, using attacks formed by combining a character's unique styles and abilities with a set of basic cards that all characters share. The last player standing wins! Includes 30 different Fighters to master, each with a unique new core mechanic. Twelve multi-part arenas that change the game as you play! Four huge bosses to play cooperatively against with 3v1 or 4v1 players! 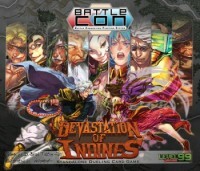 Add a Review for "BattleCON: Devastation of Indines"